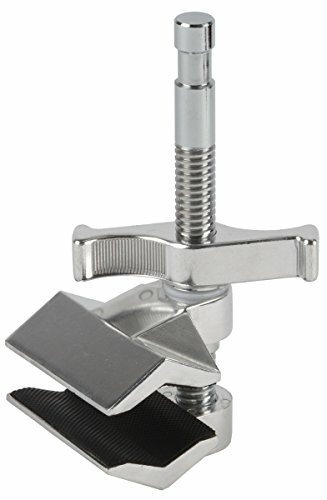 This End Jaw Vise Grip can clamp onto poles or flat surfaces up to 2.5 inches thick. At the opposite end of the clamp is a 5/8" pin to mount lights or other studio equipment to the vise grip. Smith Victor RS8, 8' Raven Lightstand with 5/8" Mounting Stud, 4 Sections with 3 Risers, Black.